I have realised that I only took a photo of breakfast today. 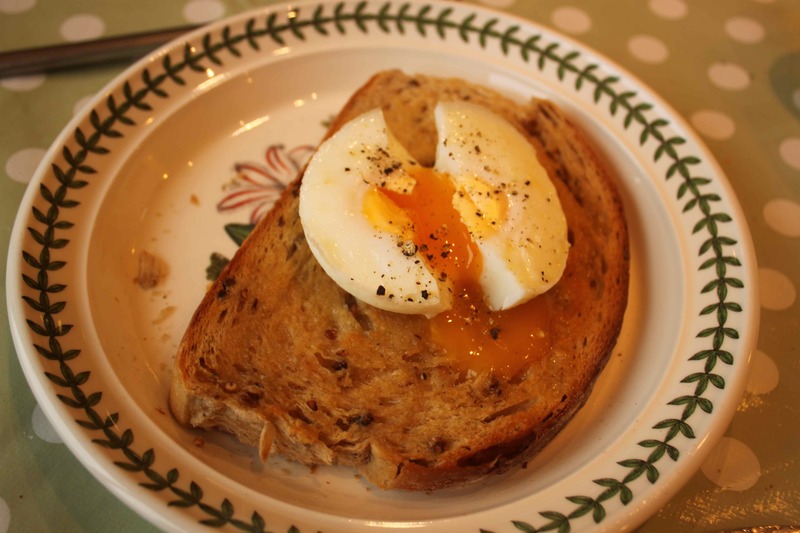 Which was a poached egg on toast. It was cooked to perfection and so a good start to the day. I have also realised that I have eaten no plant food all day which is extremely unusual for me, although I gather many people often go a day or even longer with no fresh plant foods. 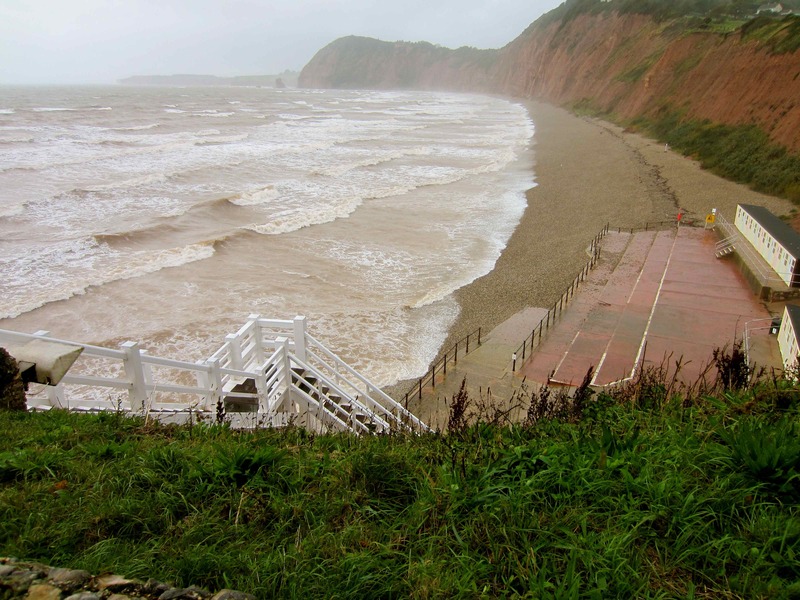 I was going to leave Sidmouth late morning and stop somewhere on route for lunch. But somehow we were chatting away and it was 2 pm so I had 2 slices of bread and cheese and set off. When I filled up with petrol I had a bag of peanuts and a latte but that was it for the day. So not very healthy but at least sugar free (assuming the bread had no added sugar) and a reasonable calorie count. 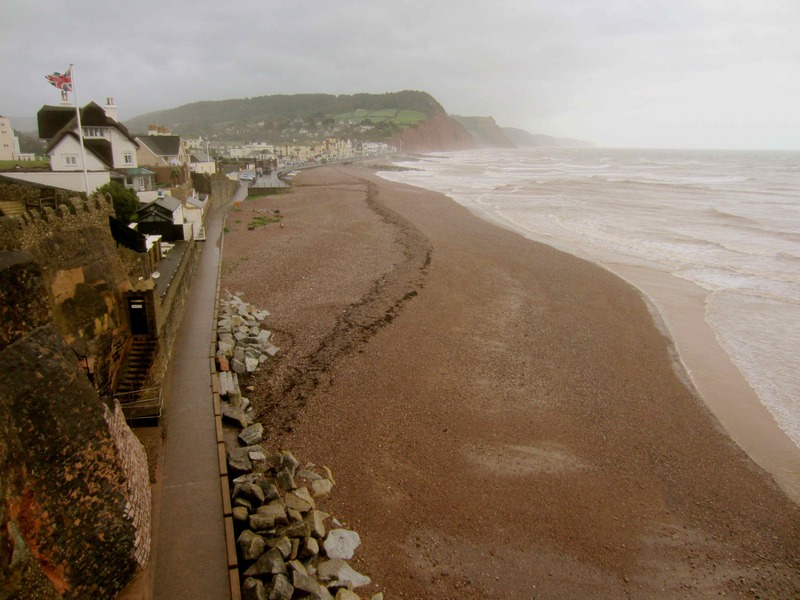 Despite the gale force winds and driving rain, Ian, Harvey and I set off for a walk along the sea front in Sidmouth. We did drive down to the sea rather than walk because much as we wanted some fresh air, it really was pouring with rain so we had to cut back the planned walk. 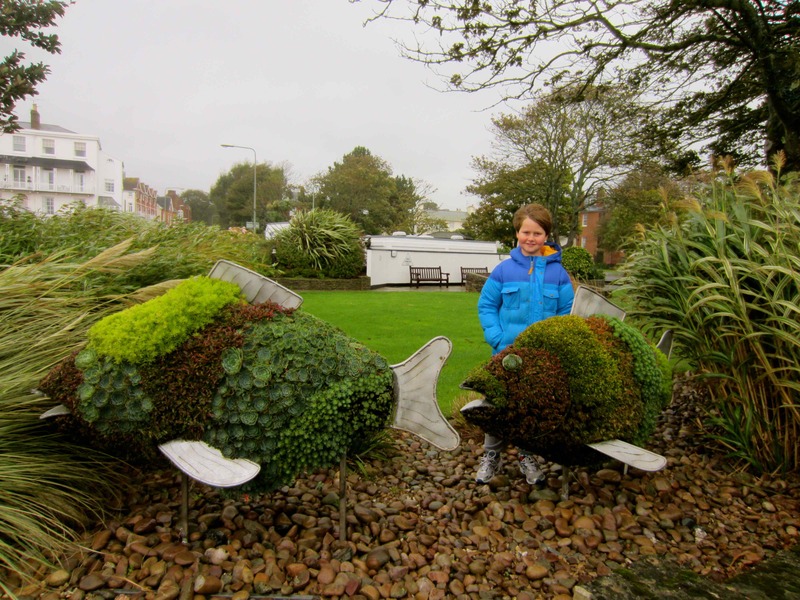 We walked past this little park which was decorated with sea creatures made from flowers. 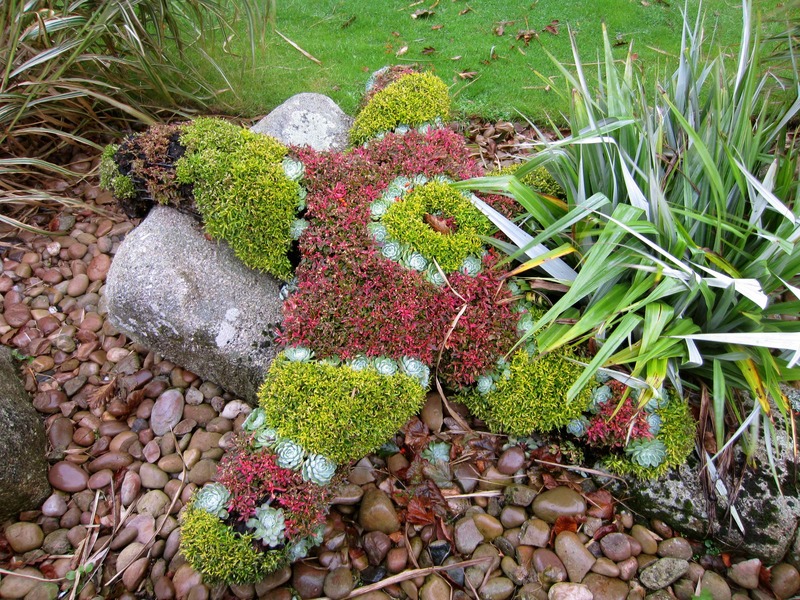 I couldn’t decide whether it was tacky or quite clever but whatever it was, they added a certain charm to the area. We walked along the sea front and up Jacob’s ladder. The view from the cliff top is well worth the climb, even in this foul weather. 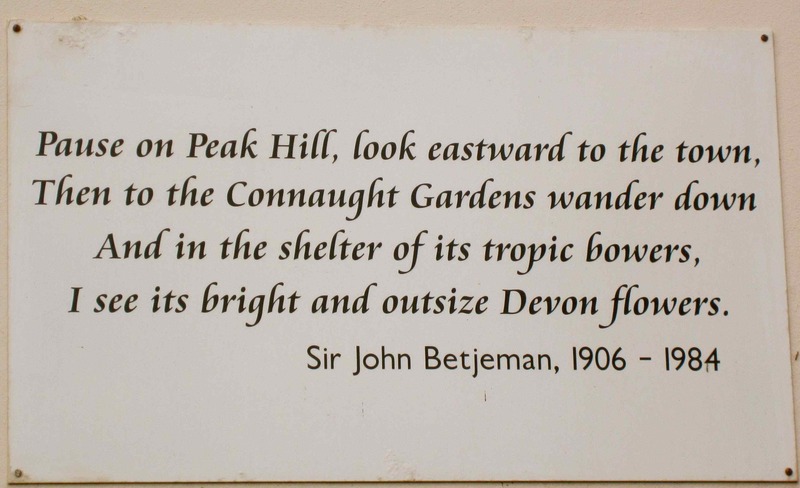 At the top is a large gardens which are pretty to wander in and surprisingly sheltered. This is a curiosity. 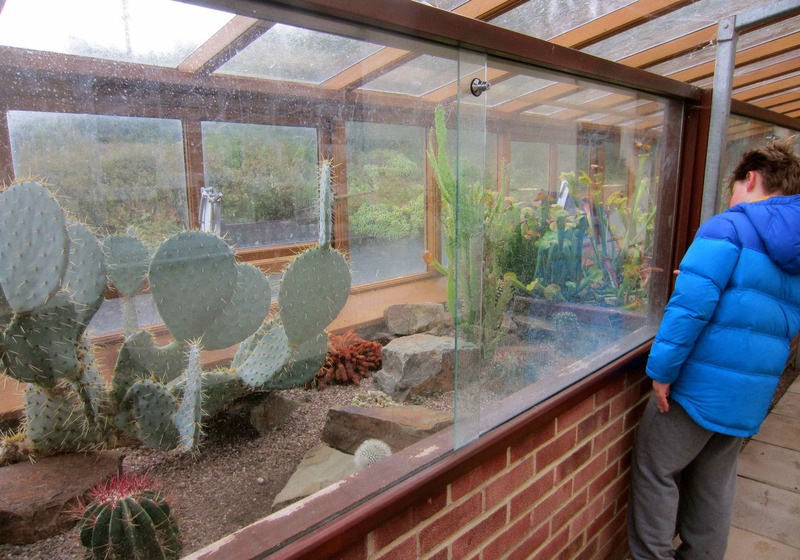 A greenhouse which is half filled with carnivorous plants and half filled with cacti. 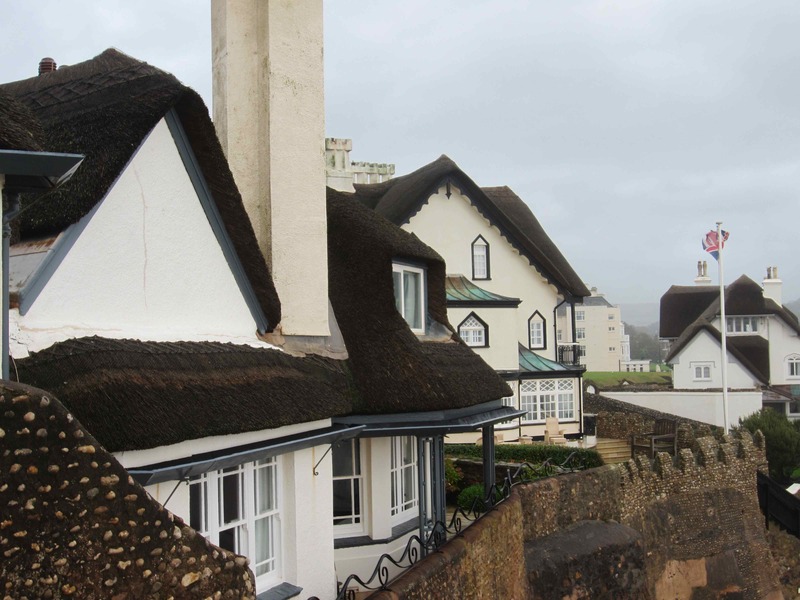 Flint walls and thatched rooves. This is the view from Connaught Gardens towards the town. 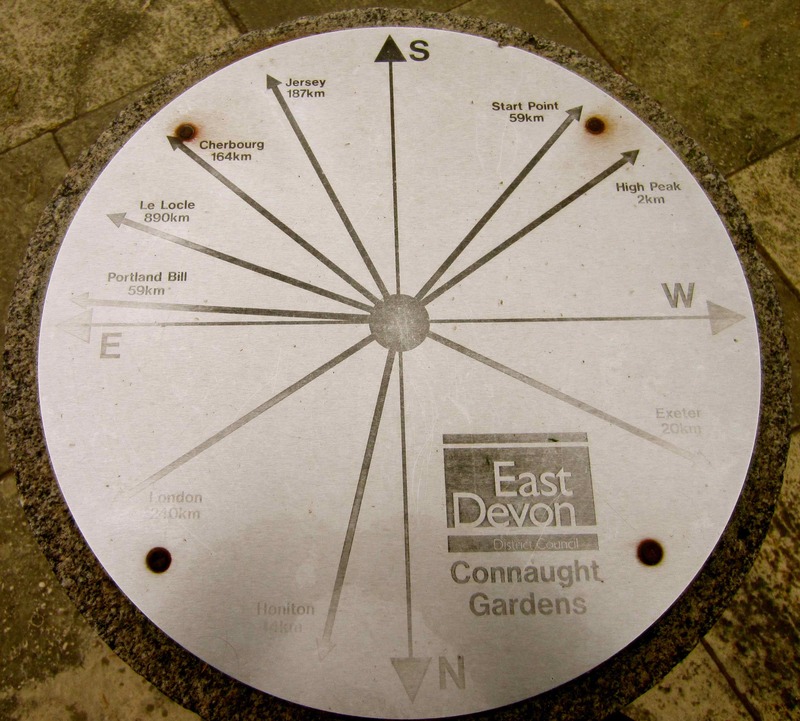 Why does this compass show the distance to various places in km when we measure distance in miles in England? We are now home sweet home. Thank you Ian and Helen for such a wonderful long weekend. It is so lovely to visit somewhere you feel so warmly welcomed and so beautifully looked after. 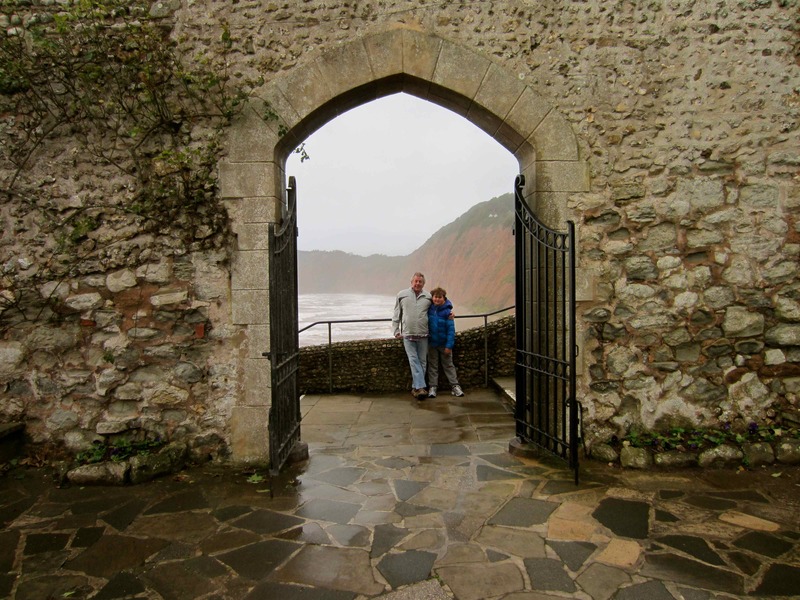 This entry was posted in Uncategorized and tagged Sidmouth. Bookmark the permalink.